Are you tired of spending countless hours hitting balls on the driving range, without really enjoying any great success on the course? 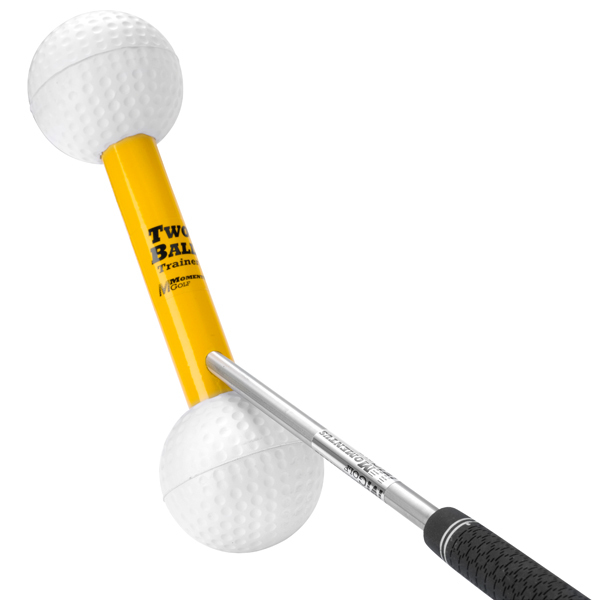 Or, lessons that just add to the confusion? 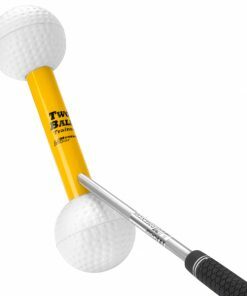 There’s got to be a better way to improve at this game! 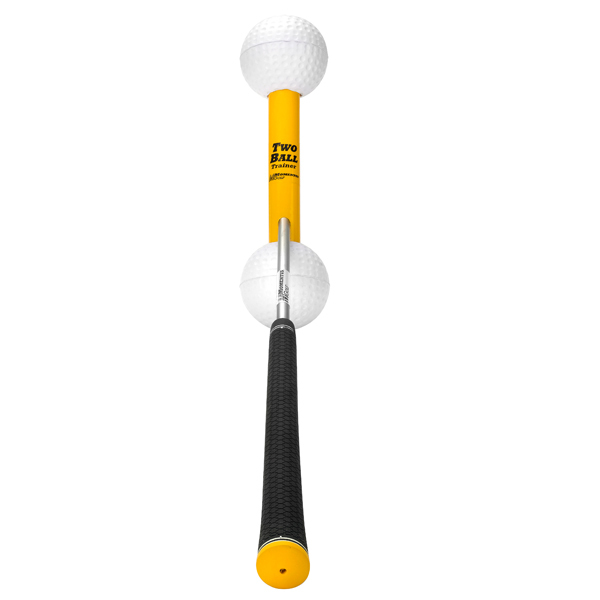 Well, now there is, it’s the revolutionary Two Ball Trainer by Momentus Golf. Controlling the club face is the key to consistently hitting great shots, but the club head on a golf club is so small, you really can’t see or feel where it is during the swing. 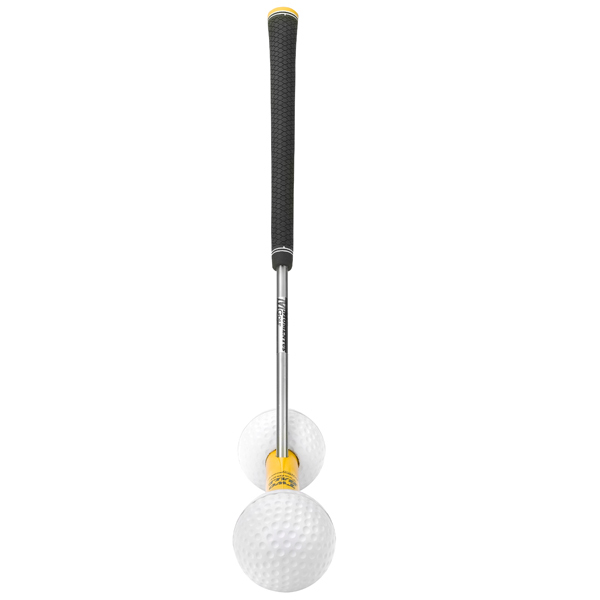 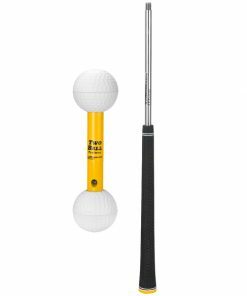 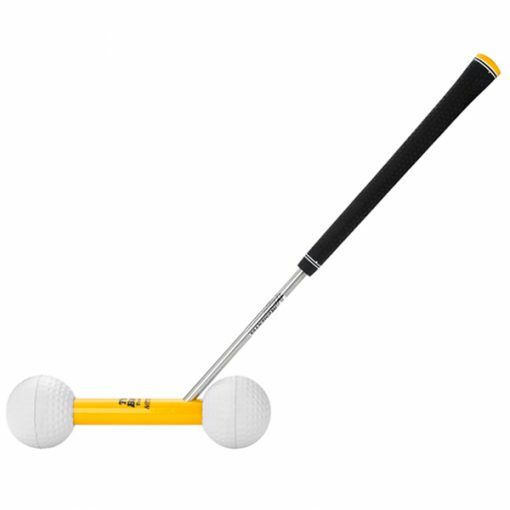 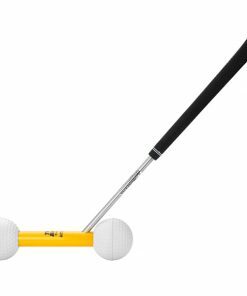 The Two Ball Trainer’s over-sized yellow weighted club head, simulates the club face on a golf club, and as you make practice swings with it, the two balls naturally rotate the face properly back and through, ingraining muscle memory for the correct swing, so you can dramatically improve your ball striking and short game too! 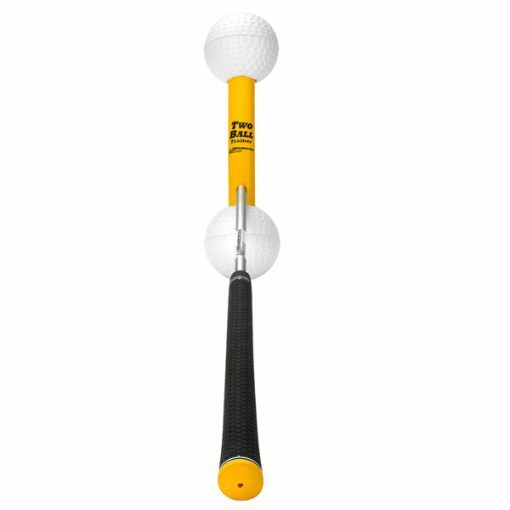 The two over-sized golf balls act as great visuals for seeing the proper face rotation during the swing. 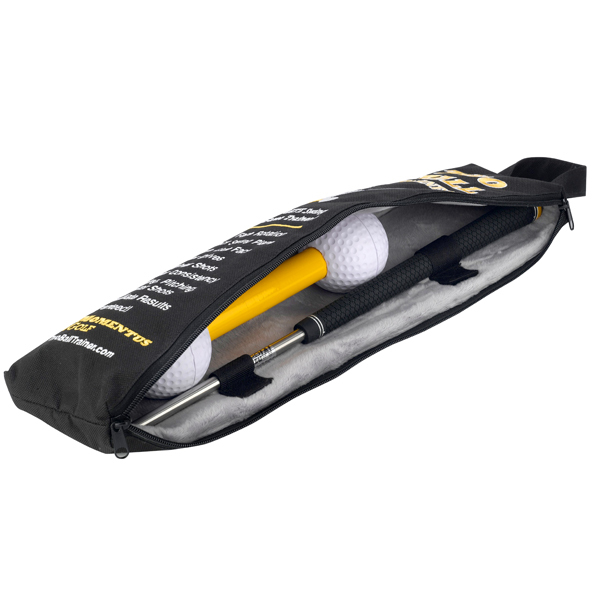 The Two Ball Trainer conveniently breaks down into two pieces easily stowed in the padded and zippered carry case included with the Two Ball Trainer. 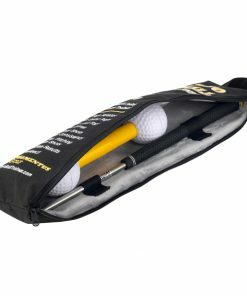 Carry the Two Ball Trainer with you in your golf bag wherever the game takes you and you’ll be ready for some of your best golf of your life!